ACT staffer, Sarah Russell sent me this story today. I think it illustrates the points I made in my last post about tolerance and property rights very well. 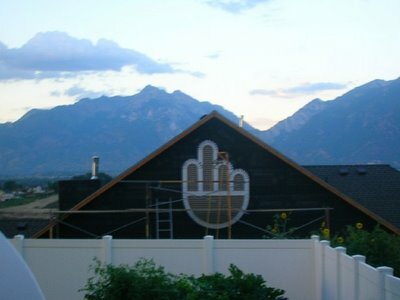 This is a true story, it happened in Utah! A city councillor, Mark Easton, lives in this neighbourhood. He had a beautiful view of the east mountains, until a new neighbour purchased the lot below his house and built. Apparently, the new home was 18 inches higher than the ordinances would allow, so Mark Easton, mad about his lost view, went to the city to make sure they enforced the lower roof line ordinance. Mark and his new neighbor had some great arguments about this as you can imagine - not great feelings. The new neighbour had to drop the roof line - no doubt at great expense.